Did you know that when you became a follower of Christ you were born into a royal family? If you have received new life in Christ, then you are a precious daughter of the King of kings, destined for beauty, holiness, and victory! 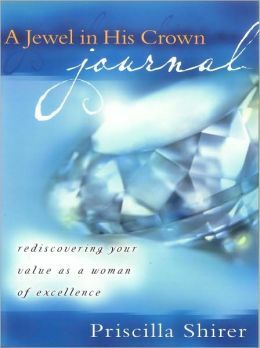 Rediscover your value as a woman of excellence. Did you know that when you became a follower of Christ you were born into a royal family? If you have received new life in Christ, then you are a precious daughter of the King of kings, destined for beauty, holiness, and victory! A Jewel in His Crown Journal will lead you through the Scriptures, exploring your inestimable value to God and your identity as His beloved daughter. This journal is an invaluable tool for all women who want to understand what it means to be a daughter of the King and live their lives as a jewel in His crown.